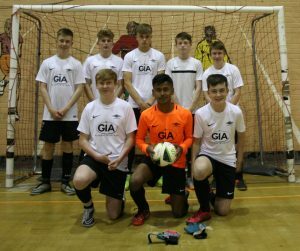 The last two Monday’s Grimsby Diamonds, Under 16s League leaders, have challenged themselves by playing Lions (Under 19s futsal Champions), the result a win for both camps. Lion’s team, given the age and experience gap won both games. This was expected, but not by significant margins. I do not mention the scores as they are not relevant. What was relevant was a younger team wanting to challenge themselves. Winning regular should be a signal to a caring alert coach that his team needs a greater challenge. Clearly this was why Diamonds was playing Lions. Lions importantly accepted the matches understanding that the learning process for them would be limited. Did Diamond’s gain from losing two matches. Hugely I would argue. I must add I was referee for both matches. 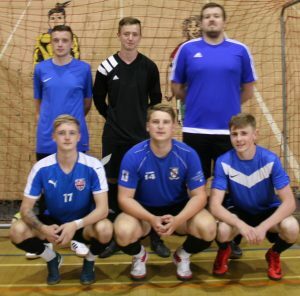 Lions included two players that have played FA Super League futsal for Loughborough University (Brendan Braithwaite and Callum De-Grouchy) and a third player Ethan Orr who has just completed two years on the Grimsby Town BTEC course. A core of players trained in the tactics of futsal. These three players are surrounded by players who have quickly copied their tactics and processes. Diamonds are alert bright players, being on court with such opposition will have fuelled their minds with ideas to copy and personal positional improvements they may be able to adjust to benefit themselves and the team the next match they play. Wednesday the Lion’s team showed the level they have graduated to by beating the highly experienced Me2 Futsal team in the men’s’ senior league. Lions are the first team that have travelled through the leagues from under twelve futsal to senior. This entry was posted in Grimsby Futsal League on June 29, 2018 by Kevin Bryant.